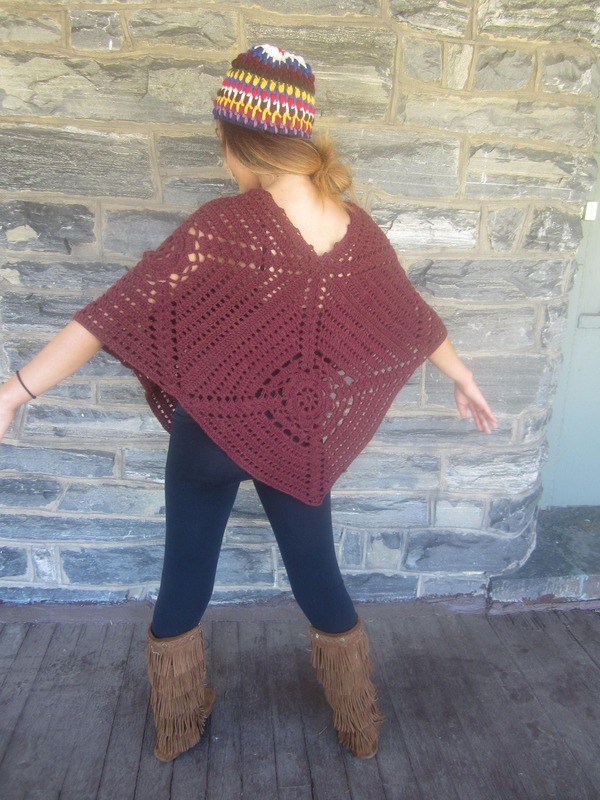 PONCHO, crochet poncho,Burgundy Poncho, womens poncho, festival clothing, gypsy, hippie, Boho poncho, Fall/Winter clothing, newly listed! 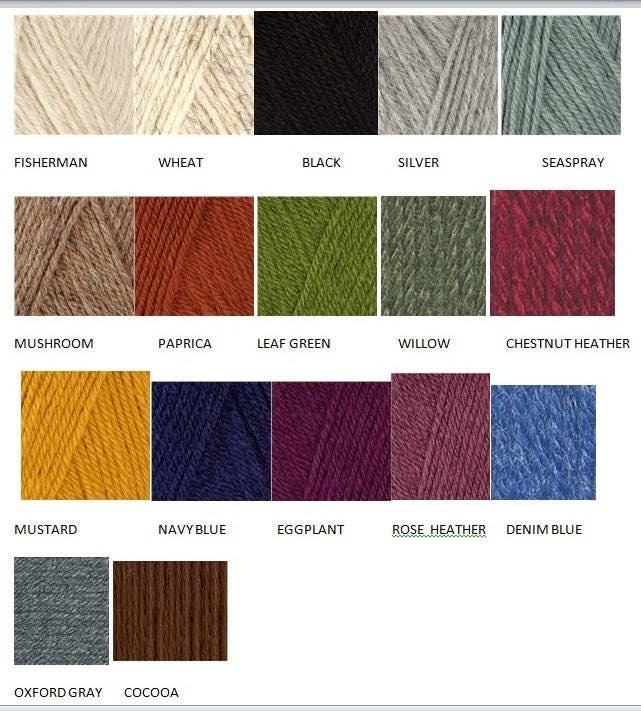 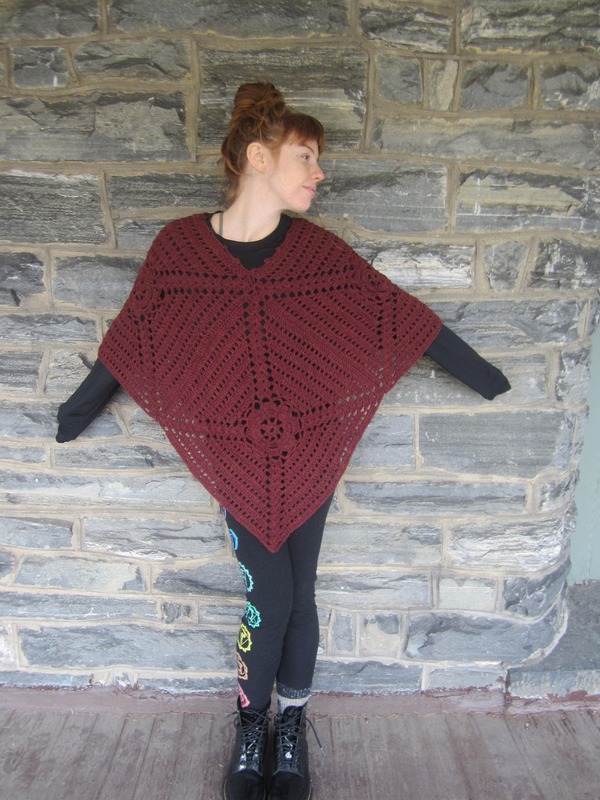 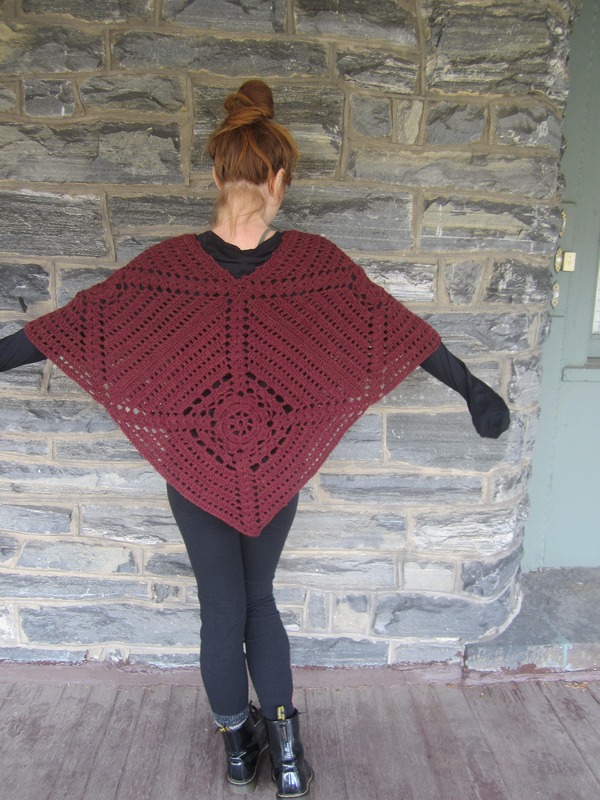 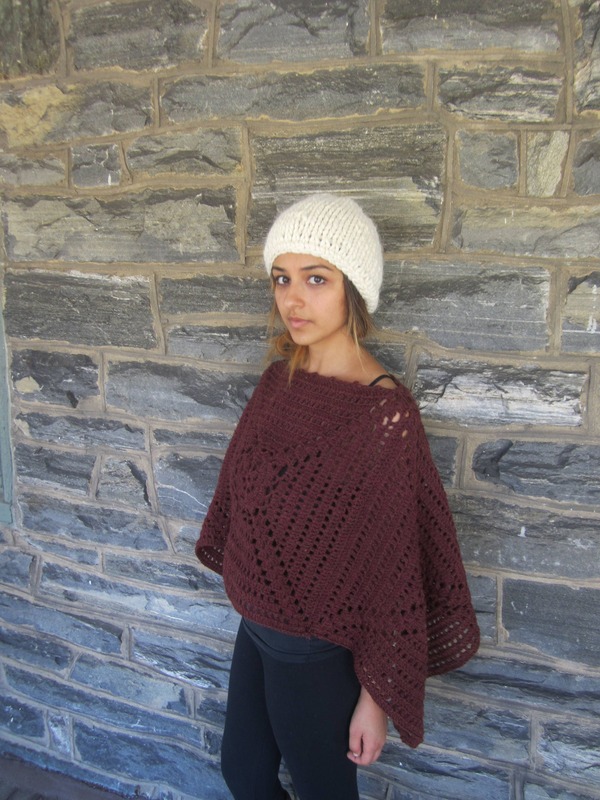 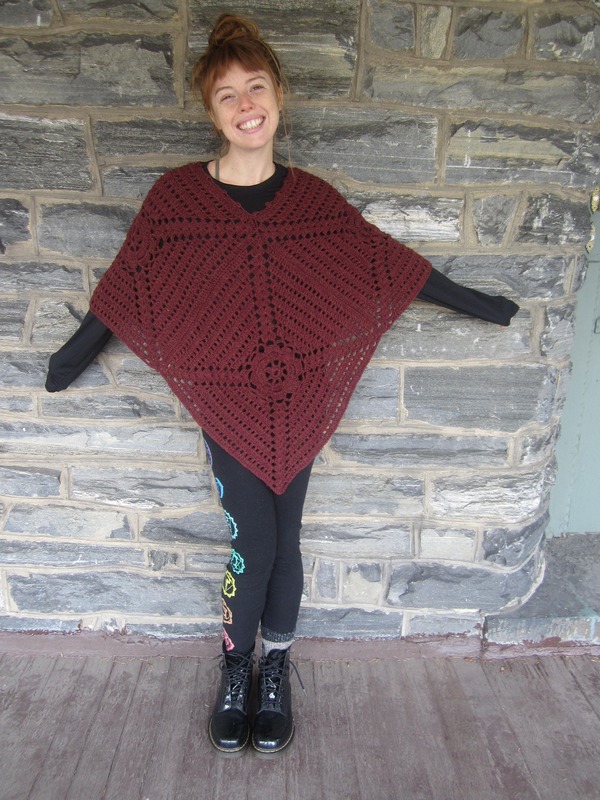 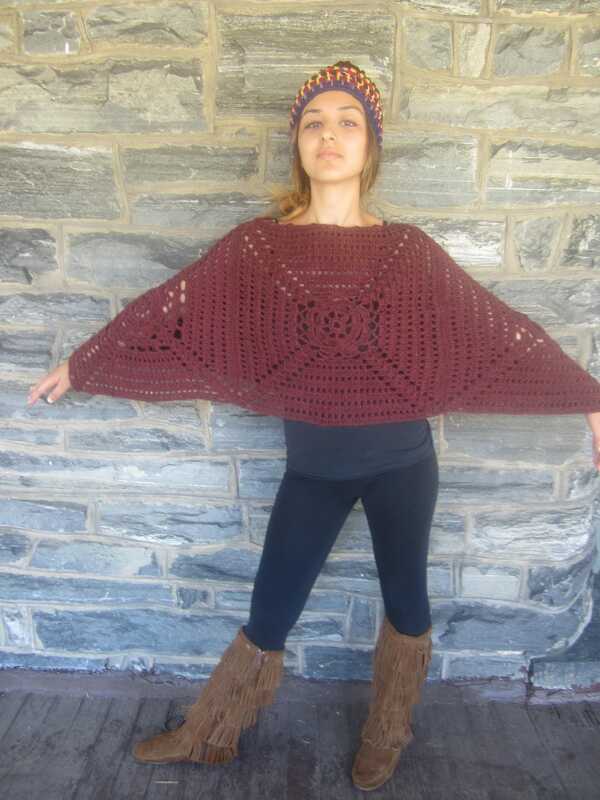 This is a Burgundy/Chestnut Heather crochet poncho made in a lovely flower motif using wool/ acrylic blend yarn. 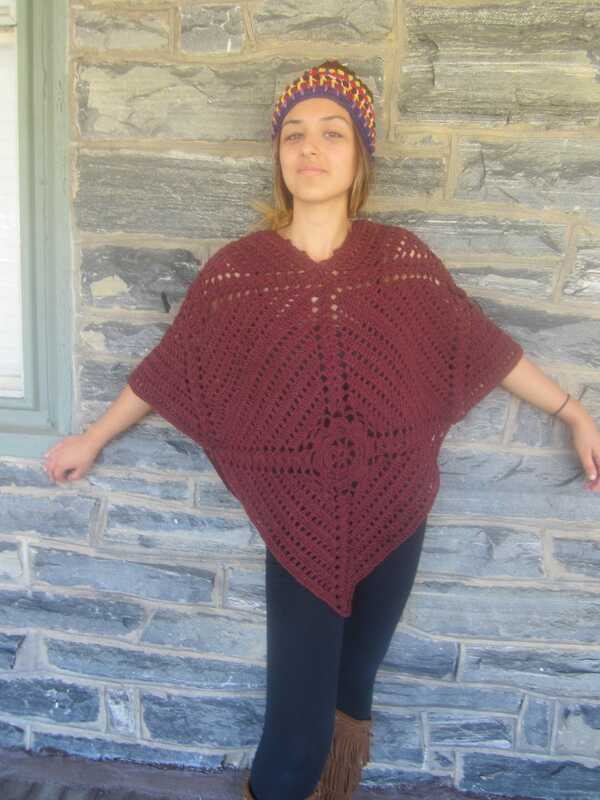 This poncho is a must have in your wardrobe, something that you can throw on to look effortlessly chic.Its just the right length because it covers your shoulders and tummy but shows off your beautiful figure.